As auto show season shifts into high gear, Chicago Auto Show organizers announce the 2019 public show dates, Feb. 9-18, and reveal the show's new website featuring responsive design, improved online ticketing, social media integration and dedicated exhibitor, media and sponsor microsites. The nation's largest and best-attended auto show, held annually at McCormick Place, will open to the public on Saturday, Feb. 9 and run through Monday, Feb. 18. The show is open 10 a.m. to 10 p.m. each day, except for the final day of the show, Presidents Day, when it closes at 8 p.m.
Show organizers are ramping up for another robust show, promising visitors access to nearly 1,000 of the newest cars, trucks and SUVs; demonstrations of the industry's latest technology; interactive exhibits; family-friendly activities; special appearances from celebrities and sports icons; and much more. In addition to the latest production, concept and exotic vehicles, the show is packed with opportunities for attendees to get behind the wheel through multiple indoor and outdoor ride-and-drive experiences. "The Chicago Auto Show not only boasts more than 1 million square feet of exhibit space treating guests to the industry's latest and greatest glistening automobiles, but it also offers attendees indoor test tracks, where they can ride along with products specialists, and outdoor street driving opportunities that demonstrate vehicle capabilities and handling as well as the latest technology and safety features," said Chicago Auto Show Chairman Ray Scarpelli Jr.
"The Chicago Auto Show has offered test track and ride-and-drive experiences to our attendees for quite some time now, as we know a key component to our show's success is to allow consumers to experience these vehicles," said Chicago Auto Show General Manager David Sloan. "We're also incredibly fortunate to have a great venue like McCormick Place, with its expansive design and convenient, single-level layout." "We constantly strive to provide ROI to our exhibitors, which is reflected in the spring auto sales figures that are posted following our show. It's no coincidence that manufacturers see an increase in vehicle sales following our show, as nearly 70 percent of adult attendees who visit are 12-month vehicle intenders – according to Foresight Research. The Chicago Auto Show is the destination in February where people come to shop for their next vehicle, have a great time with friends and family, and shake off those blues in the dead of winter." "A successful show begins with an unmatched consumer experience, and that's exactly what Chicagoans have come to expect at the Chicago Auto Show," said Scarpelli Jr.
With detailed information, interactive maps and a complete vehicle listing, ChicagoAutoShow.com and the official Chicago Auto Show app (Android or iOS) provide attendees with a one-stop-shop as they prepare to visit the nation's largest auto show. More than one-third of all attendees use the website to purchase tickets or validate coupons prior to attending the show. This year, online ticket buyers can store, share and print tickets across all devices. The website's comprehensive listing of vehicles on display adds real-time inventory from Chicagoland's new-car dealers, provided by DriveChicago.com. This allows site visitors to sort through more than 60,000 new cars directly on ChicagoAutoShow.com as they are browsing their favorite vehicles. "We want our attendees to connect to the show on every level," said Scarpelli Jr. "We will be providing free high-speed Wi-Fi at the show to allow showgoers to share their experience through social media, our website and our official Chicago Auto Show app." 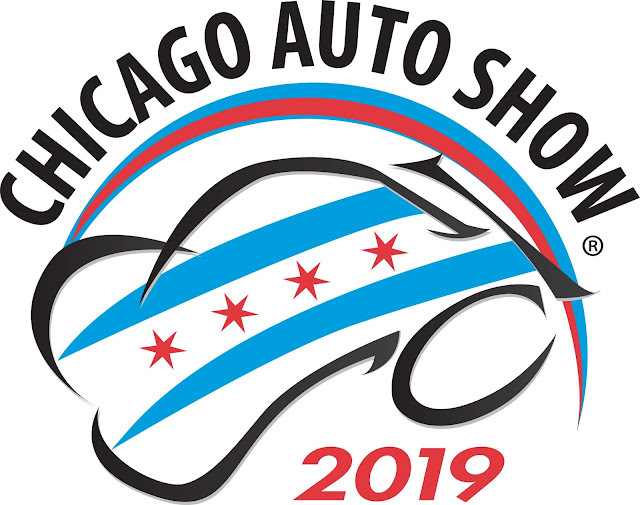 Media visiting the website are now able to register for media credentials, download high-resolution Chicago Auto Show images and video, locate recent news releases, view a show floor map and obtain the show's 2019 press kit. The media section of the site is found at www.chicagoautoshow.com/media/. Special-themed days include Women's Day on Feb. 13, Telemundo Hispanic Heritage Day on Feb. 15, Family Day on Feb. 18 and A Safe Haven Chicago Auto Show Food Drive Feb. 13-15. Tickets will be available for purchase online at www.ChicagoAutoShow.com beginning in November or at McCormick Place ticket booths throughout the public show. Ticket prices are $13 for adults, $7 for seniors aged 62 or older, $7 for children ages 7-12 and free admission for children 6 and younger when they accompany a paying adult. The show's 2019 Media Preview will be held Feb. 7-8 and its black-tie charity gala, First Look for Charity, will be held the evening of Friday, Feb. 8 at McCormick Place.